‘Rafi’s maternal grandfather, an accountant in Freiburg, made frequent visits to Switzerland and Italy… and it was apparently he who engineered the family’s move across the border as the European stage mustered for War. Known to his friends as ‘Bazi’, he started a family tradition for nicknames. racing car from Prince Bira of Siam which he tried unsuccessfully to renovate, and the family often found the missing young ‘Rafi’ asleep in the car. ‘Bazi & Rafi’ became famous (and feared) around the town when the car was being ‘tested’. ‘Rafi’s father had been killed during the War, and while ‘Mausi’ was now seeing a Bavarian Count, and about to follow him to England, a chance meeting with an Alfa Romeo engineer, skiing in the Swiss Alps, led to ‘Bazi’ finding a position for ‘Rafi’ in Milan in the Spring of 1950. At Alfa Romeo ‘Rafi’’s keen enthusiasm and self-taught engineering expertise soon had him on the GP team, as ‘spanner-man’ to Nino Farina, who took the inaugural 1950 F1 Drivers Championship… and in 1951 he teamed with Juan Manuel Fangio, who regularly gave driving tips to young ‘Rafi’ in exchange for testing his car for him. Rumour has it that it was not unusual for ‘Rafi’ to better Fangio’s lap times, despite Fangio becoming the second Champion. Meanwhile ‘Rafi’ was already competing in junior events, and sports-cars, and won two F.Libre races in 1950 (the GP Rennes le Chateau, and the Coppa del Negri) and, in 1951, was on pole for all five races of the new European F2 series. He won three, came 2nd in the other two, and recorded four fastest laps, in a ‘private’ Alfa Romeo financed by ‘Pappy Bazi’. Fangio was obliged to sit out the 1952 season but he continued to mentor young ‘Rafi’ who, with an inheritance from ‘Bazi’s demise, had bought a Gordini T16 Straight-6, which he took to seven non-Championship wins during the year, plus nine pole positions, five further podiums, and seven fastest laps. 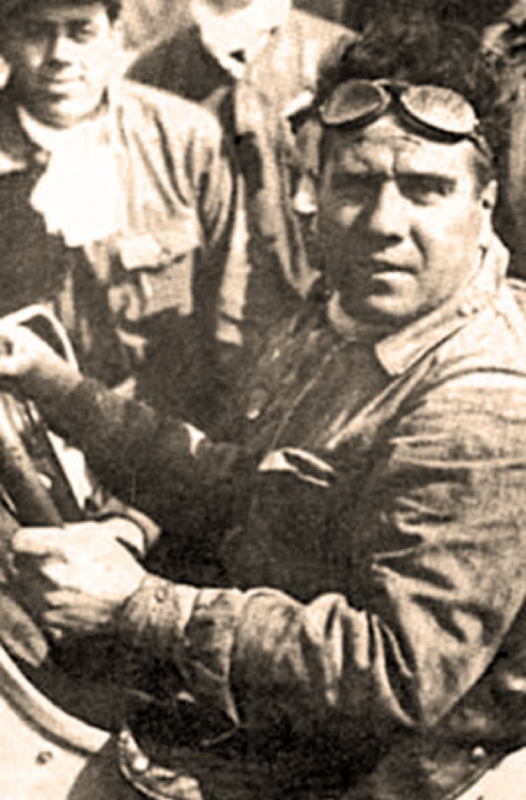 Fangio returned in 1953, with Maserati, and was able to take ‘Rafi’ with him, first as his mechanic/test-driver, and then as a member of the team, when Gonzalez was obliged to pull out mid-season, but Maserati’s slender resources were entirely aimed at helping Fangio to a third Championship… and ‘Rafi’ retired from the three remaining events. Fangio and ‘Rafi’ remained at Maserati for 1954. Fangio won the first two races and then made a quantum leap to the newly-returned Teutonic might of Mercedes Benz, and again ‘Rafi’ was left behind, but this time ostensibly as Maserati team-leader. But… sadly, a combination of Maserati’s disinterest in a German/Swiss driver, and subsequent indignation from ‘Rafi’, plus retirements in the next two races, saw ‘Rafi’ exit – stage right… It allegedly didn’t help that when the legendary Mercedes Team Principle, Alfred Neubauer, was accosted by ‘Rafi’ near the Maserati pit, ‘Rafi’s mechanics pushed his car over Neubauer’s foot… creating considerable postal activity between Stuttgart and Modena for several weeks afterwards. ‘Rafi’ went home to Lausanne, dusted off his old Gordini, and returned in 1955. After a heart-stopping drive at Silverstone, in which he caught and passed both Mercedes, Moss later declared, “I felt I had no alternative; ‘Rafi’ was clearly faster, and as I would not pass Fangio, there was a danger of the three of us colliding.” After two laps in the lead ‘Rafi’s engine emulated the creation of the universe, with a ‘big bang’, and he was forced to retire. With no more money, he also retired from F1, a dejected man, and returned to his home on the Lake. No animals were hurt in the writing of this series. 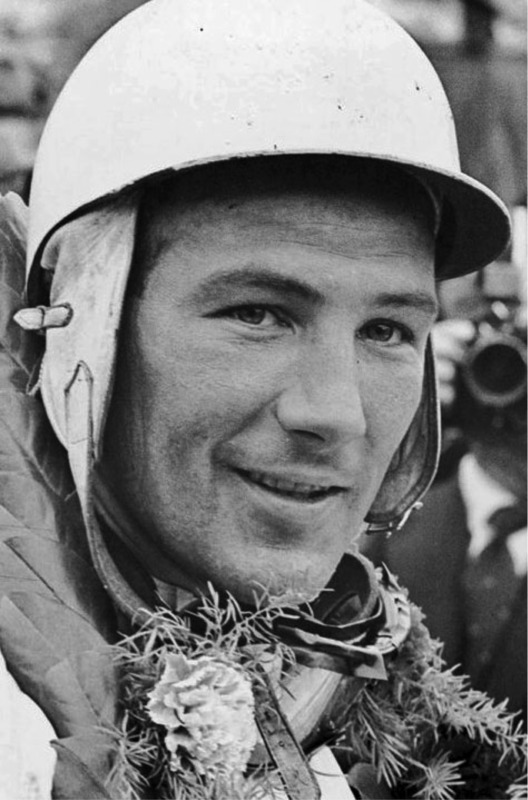 Stirling Moss’ career has been well recorded over the years, in far more detail than I can go into here – check online, or in your nearest library, or a friend’s bookshelf. His achievements are still well remembered by those who ‘were there’, and read about by fans who came along afterwards, so I’ll just point out a few highlights and victories, that are worth checking in greater detail. Throughout this series I have introduced a theory that, as all drivers have a fairly finite time period in which to take the World Championship, it is necessary for them to establish their claim within three years – four years, tops. Many drivers then have about three years at their peak and then, if they fail to be crowned (which can lead on to further Championships), they might have a further three years falling slowly by the wayside – while a sad few are prevented from further success by unfortunate accidents. During that first three years a driver has to demonstrate a potential that out-shines all current drivers in order to be offered the better drives – no champion ever won in a sub-standard car, and of course no constructor ever won the Championship with a sub-standard driver. The two have to come together – and preferably at the same time. 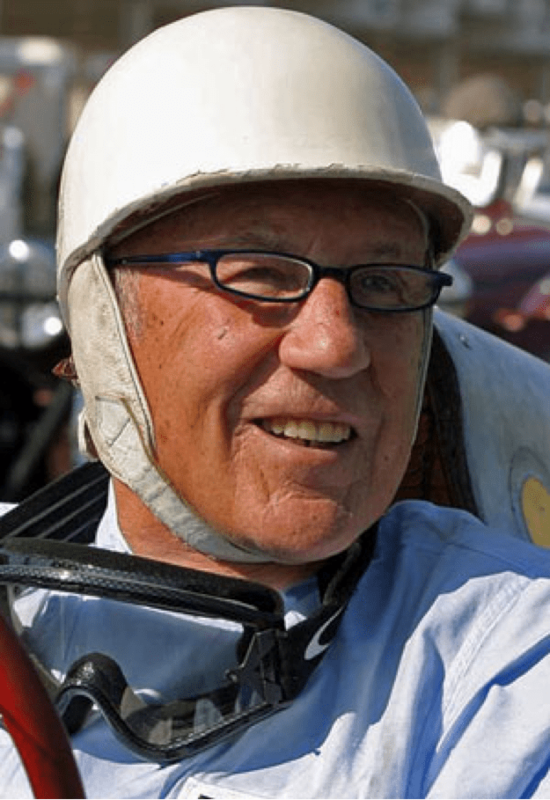 Drivers like Fangio seem able to ‘know’ which is the next best team to move to, while others, like Vettel are fortunate that their team remains superior and the decision to change becomes almost unnecessary. Many drivers on this list (and, indeed, some who didn’t quite acquire a place here), in retrospect, were simply in the wrong car at the wrong time, or were often teamed with another fast driver – Reutemann is a good example of both. When drawing up this list, I was less interested in drivers who had ‘failed’, per se, than with drivers who had ‘succeeded’ in making a valid claim for the laurels but had simply ‘missed out’… after all, for every driver who is crowned, three or four others have to miss out, each year. And sometimes these also rans might well have been better drivers than the Championship winner. Secondly, it has often been the case that a Championship contender is teamed with another (equally…?) gifted driver and the fight between them, even when not partly engineered by the team-boss, can often cause a third driver to leapfrog them both… thus I tend to regard the actual, ‘crowned’, champion as at least partially lucky, and the runner-up as partially unlucky – and often the difference between them is minute. Looking at Moss’ career, compared with other NON- champions, two additional factors come into play, which are almost unique to him. In the record books Moss’ achievements stand head and shoulders above all other drivers – which is why Moss is always regarded as the best driver who didn’t become Champion. When I was developing my ‘scoring system’ to rate these drivers as objectively as possible, Moss scored 50% more points than Gonzalez, and twice as many as any other driver, and four times as many points as all the drivers in the lower half of the list – this is a phenomenal record. So, why was he uniquely not favoured…? Well, two, interconnected things – he was a loyal Englishman, and an English gentleman. Prior to the late 50’s there were no British F1 racing cars capable of making champions, and every British driver wanted to be the first to win a GP in a British car, and to win the Championship in a British car. French drivers were the same in the 60’s and 70’s and I’m sure the tifosi would prefer to see an Italian driver take Ferrari to victory, and German supporters would have been even happier if Vettel had been driving a German car for the past four years… It’s human nature, as well as patriotic fervour instilled in people around the world. Moss is particularly famous for having defended his rival, Mike Hawthorn’s, disqualification in the 1958 Portuguese GP, which reinstated Hawthorn’s position, and six points, and gave Hawthorn the Championship, by one point from Moss. Moss has always asserted that he could not have kept quiet, and kept the Championship – it would have been a hollow, dishonourable, victory. Even though they were in different teams I cannot recall that Moss received anything but praise, at the time, for his action. Nowadays, of course, the world is a different place and there are several reasons why such an act would not happen now – or even be understood by present-day fans. At that time drivers not only supported each other, and automatically allowed their team-leader to pass unhindered, but drivers even came into the pits and handed their car over to the No,1 driver, if his had failed. I’m certainly not suggesting we return to such noble times – just trying to explain the differences. One of my favourite quotes is Thomas Hardy’s, in The Go-Between, where an old man is remembering his childhood and declares: The past was like a foreign country. They did things differently there.” Nowadays, when traveling abroad, we accept (if we are sensible) that things will be different, and much will not be understood, because we tend to judge others by our own standards and points of view. We can only learn by blocking out our own cultures and attitudes and looking afresh. The same consideration has to be given to the past. We are all of us our own worst enemy – many drivers on this list must assume some of the ‘blame’ for being here – but all of them gave of their best, all of them could, in only slightly different circumstances, have taken the ultimate accolade, and all of them gave us, their fans, many enjoyable hours over the years. Instead of whining about who should have done this, or that, or whatever, let us be grateful to them all – and also to the dozens of others who didn’t quite make this list. NB: Throughout this series I have used photos from the internet but it has often been difficult to properly acknowledge copyright. If anybody has seen their work published here please let us know. Credit will always be given, and photos can be removed if desired. Thanks for that. Love your work, BJB. A Stirling effort over the whole series. What an intro. I was like WTF! Just wanted to add, your point about the tifosi wanting an Italian winning in a Ferrari. I can’t speak for all but personally they have to be someone with the ability of Valentino Rossi, a racer that lives to win. I would rather have had Senna winning in a Ferrari than any Italian driver that raced during his period. Alboreto was there for four years but no matter how classy he was, he wasn’t in Senna’s league. It would be the same for the Schumacher years, there was no Italian of that standard in the field. Ferrari are a strange phenomenon, they represent Italy irrespective of the driver so a driver has to be special to receive plaudits there. That’s why Rossi would have worked, he is idolised in Italy already. But that was my surmise – that Italy / Italians would rather have had Rossi than Senna, or anyone else. That there were no other suitable candidates has perhaps caused the ‘tifosi’ love for the team first, above all. Seeing his exploits in MotoGP, and how fast he was in the F1 car (being a karting champion, before moving to bikes to fund a career), you have to think Rossi on a Ferrari young drivers program would have done very well indeed.. perhaps even as well as Schumacher, should he be out of the picture following Spa 1998? Now, that would be something. Maybe a little too soon for Rossi though. But, I can see Ferrari trying this with one of their youngsters in the next ten years.. perhaps Marciello or Fuoco.. Bianchi could also be a good number 2 driver (if not number one.. will Ferrari ever sign Vettel or Hulkenberg?). Hmm, considering how good Fisichella looked in 1998, or Trulli, could we have seen one of these guys given a chance at the big marque? Fisi was finally picked in 2009, in the same situation.. I still don’t really understand the first part… If someone would like to explain… I mean, I get that it’s humorous, but is it alluding to someone/something? Anyway, please write another list… About anything! Hi CTP – sorry if you’ve had a sleepless night – and that you only found it, “humorous” 🙂 – it was hoped to be hysterically funny… 😉 and aimed at all those who were convinced, from the off, that Moss would be No.1. Oh, and who will be in 20th place in November, when Massa gets taken off this list? Maybe Count Eduardo Irvine will be promoted to the Top 20 of the round table to serve under King Moss the Benevolent. The serious answer to your question would be Jean-Pierre Jabouille whose talents, I’m now ashamed to admit, should have been rated more highly. Bravo BJF… Bravo! Great series, well researched and well written. I have been hooked on this. Don’t worry, they’re clean, I brought a spare pair. Good morning Jennie – many thanks. Just the information I need – though you could probably settle for the top 5:) You’ll need to get it done before Mother’s Day so my husband will know which one to buy me! Maybe you could persuade someone to donate them free for us to test:) I’m sure you’d get lots of volunteers! I have taken it under consideration. See, conclusions, next week. Well done, you got me for a few seconds there!! Obviously expecting Moss to come top, but then I almost read Rafi as Ralf – don’t forget that the awkward younger schumi also won a chunk of races! Really enjoyed the series, and learnt a few things along the way. I like that you stuck to a formula, and did not do a personal list of favourites, which nobody could agree with 100%. Using the formula for all drivers, it would be interesting to see where these 20 really come overall and which ‘champs’ they out score…? Thanks for your comments – are you sure it was only a “few seconds”…? I’ll see what I can do for the full list. Truely enjoyed reading the whole series, top job BJF. One thing I have taken from your writing is that no matter what we perceive, Formula 1 has always been about, tyre preservation, fuel loads, nursing the cars, team orders and having multiple stars in cosmic alignment at the right time. So it’s not that different today as it was in 1950. Nice job and thanks for the hard work. Even with my ‘please Zeus, not Moss’ focus throughout the series I have thoroughly enjoyed your, very talented, efforts. As I said on driver 20, print something (physical or virtual) and I’d buy a copy. Its that good. Well done, and thank you so very much for your efforts. Many thanks, again… I have been working on something ‘printed’. Will let you know. Look forward to it – will take pride of place on my bookshelf – and do not meam ebookshelf. Thanks Black Jack, enjoyed the series immensely. seriously, what about Jean Alesi ?